Aid and advocacy group Release International said the group believers was detained in the Pamir Mountains of the Central Asian nation while distributing Christian literature in Russian, Tajik, and various local languages. Release International cited its sources as saying that the Christians were later freed but fined $1,000 in local currency by a court. Since they had no money, a Tajik church reportedly paid the fine for them. The case was the latest in a series of reported government-backed actions against devoted Christians in the heavily Islamic nation, which was once part of the Soviet Union. 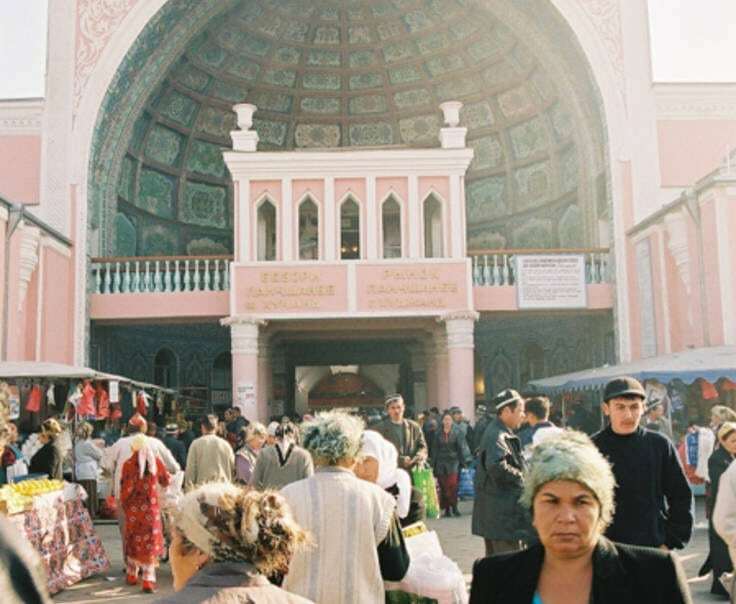 In Tajikistan, no religious and faith activities such as evangelism outside of state-run and state-controlled institutions are allowed, according to Christians familiar with the situation. Government officials are reportedly encouraging Christian persecution in the country, and since 2015 have significantly stepped up persecution, Christians said. Last year in February authorities began a series of raids on congregations of the Sunmin Sunbogym ('Good News of Grace') Protestant Church in the northern Sogd region, confiscating Christian songbooks and other literature, rights activists confirmed. Two months later, they reportedly detained Pastor Bakhrom Kholmatov in the regional capital, Khujand. He remains under police investigation on criminal charges of “extremism,” BosNewsLife learned. Elsewhere officials in Dushanbe closed down two nursery schools, Christians said. One closed after officials found a Christian songbook; the other apparently because Protestants worked there. Local Christians and activists note that especially Protestants are suspected of "being spies" intent on destroying the country’s political system and that the government wants to control and eventually eradicate their presence. "The main Russian Orthodox Church is not engaged in evangelism to Tajiks...And to avoid conflict with Russia, the Tajik government poses very few issues for them," claimed Christian advocacy group Open Doors in a recent assessment. The country remains strongly dependent on Russia, both for its economy and to help counter security problems including the fight against drug smuggling from neighboring Afghanistan and an emerging radical Islam movement. Converts from Islam often experience the worst persecution, perpetrated by family, friends and their local communities, BosNewsLife learned. "They face extreme pressure to recant their Christian faith, sometimes even resulting in beatings and house arrest" as well as "Christian persecution from the government,"Open Doors noted. "Baptist, Evangelical, and Pentecostal Christians suffer from raids, threats, arrests, and fines from the government, as well." Christian rights activists say Protestants face allegations of being spies intent on destroying the country’s political system and that the government wants to control and eventually eradicate their presence. "There is almost no tolerance of religious education, and stringent administrative barriers restrict church registration. All Christian activity is heavily monitored. Since August 2011, any religious activity for persons under the age of 18 has been strictly forbidden," explained Open Doors in a recent assessment. Although the government of Tajikistan suppresses and punishes religious activity, imprisoning individuals of the Christian faith on what their supporters view as "unproven criminal allegations," Christianity continues to grow, church groups say. The reported crackdown comes amid concern about the autocratic style of President Emomali Rahmon. The former cotton farm boss was voted to become president in 1994. Rahmon was re-elected in 1999 for seven years and won a third term in 2006, though international observers decried the ballot as neither free nor fair. He secured a fourth term in 2013. Rakhmon played a vital role in Tajikistan's civil war, helping the pro-Communist effort to remove Islamist rebels from Dushanbe in the early 1990s. After years of civil war and violence, the president has a firm grip on power, but the country of 8.5 million people remains poor and underdeveloped.